The wife and I just returned from a week’s trip in Nova Scotia. 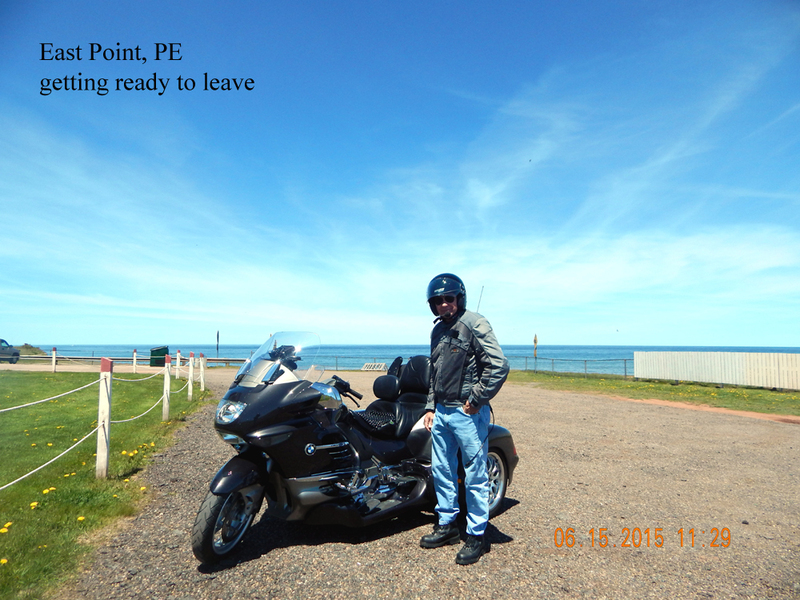 It seems like we did more riding than sightseeing or relaxing but we were able to visit the Cabot Trail, Hopewell Rocks at the Bay of Fundy, PEI, and Peggy’s Cove along with a good other portion of Nova Scotia. We ran up approximately 2700 miles from Thursday morning to the following Thursday evening. It would have been significantly more had we not taken the Ferry from Portland, ME to Yarmouth, NS or the one from Caribou to Woods Island and back. All-in-all a good and uneventful trip barring the couple of rain storms. Often, we were in some remote areas with little or no traffic but the LT didn’t let us down and ran like a clock the whole time. Man how I love this machine! I notice the trike seemed to use about a half quart of oil throughout the trip. I discovered a small leak from the front of the sump pan but I was also pushing it fairly hard the whole time and thought with the extra weight of the trike plus the leak as this not to be a problem. Well all that’s left now is to unpack, clean up everything that needs it, hand out the souvenirs that we amassed and plan for the next adventure……. Gruivis, bmwriderm and JNW003 like this. 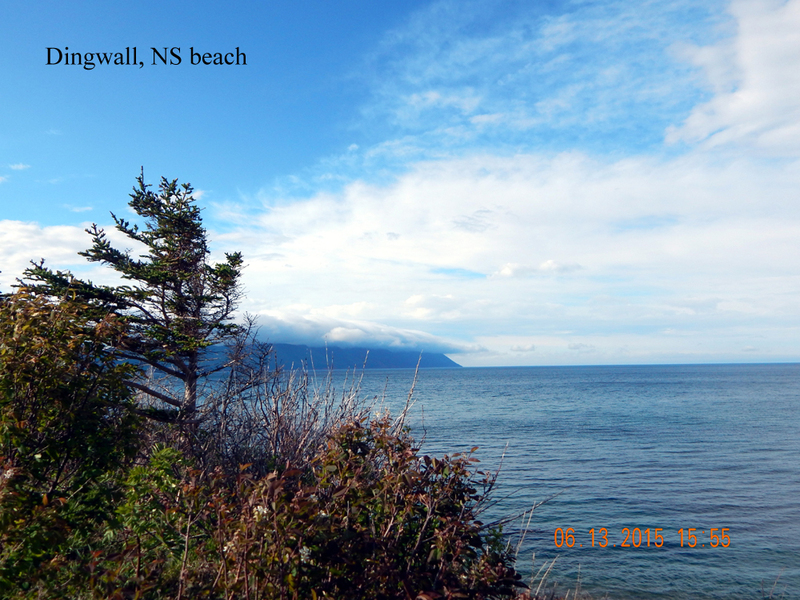 I love Nova Scotia as well, but the rocks at Hopewell are in New Brunswick (N.B. ), not Nova Scotia. You were walking on the floor of the Bay of Fundy, site of the highest tides in the world. I don't want to take anything away from Nova Scotia, but have to stick up for our province which also has many scenic points. 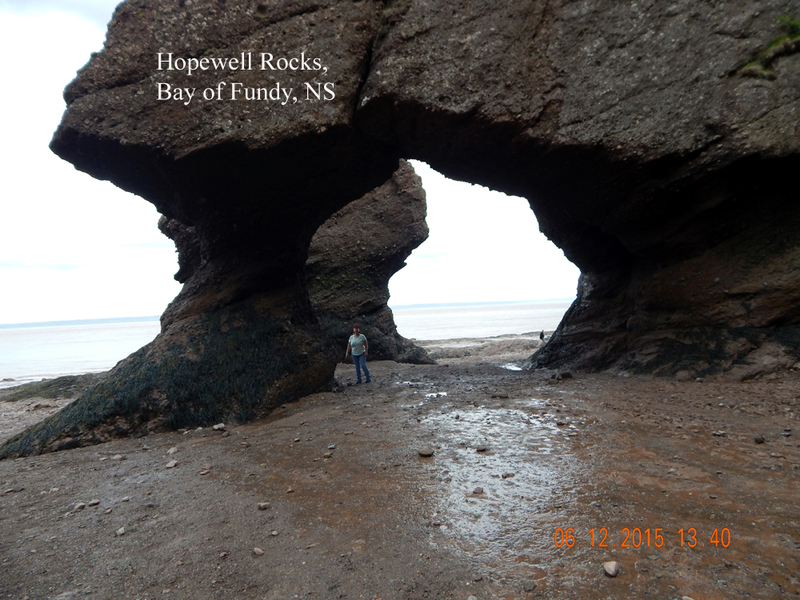 I am not sure if you drove to the Rocks, or took the ferry across the Bay from Digby, N.S., but if you walked on the ocean floor at Hopewell Rocks, you were definitely in N.B., last time I heard anyway. The GPS could very well have done that, Nova Scotia by water isn't all that far away, but if you drove by land, i would have thought GPS would have said N.B. 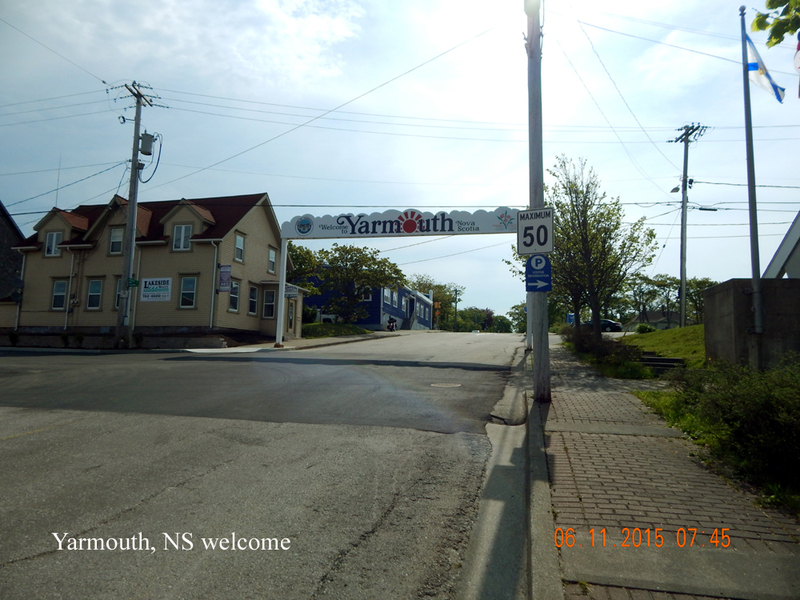 at some point, as it would be 50 miles or more from the N.S. border. GPS across the Bay may possibly show N.S. Personally I am all for the joining of the 3 Maritime provinces, Nova Scotia, New Brunswick, and Prince Edward Island into one. It would still only have a population of 1.8 million, about the size of a small city in the USA. But what would they do with all those highly paid politicians who would lose their jobs, not to mention the civil servants and other government officials? 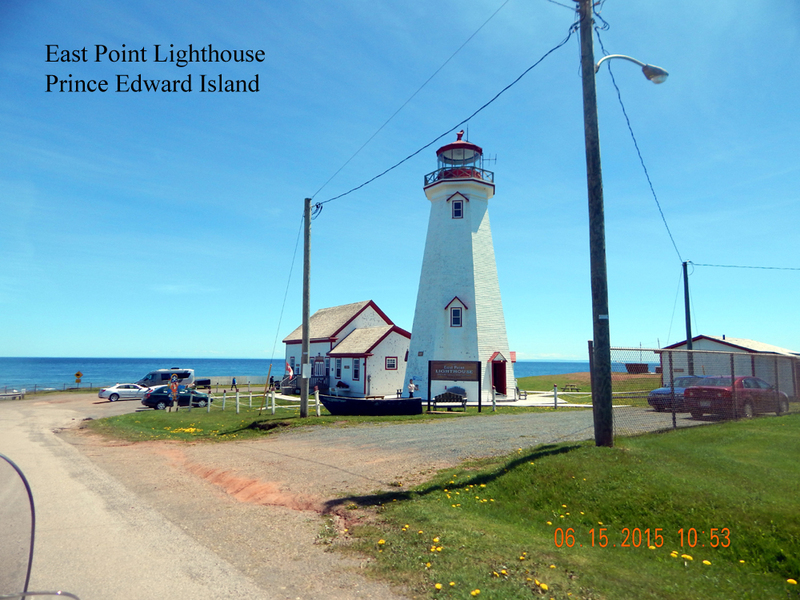 Glad you enjoyed your trip, next time plan on spending some more time in N.B., we have lots to offer as well. 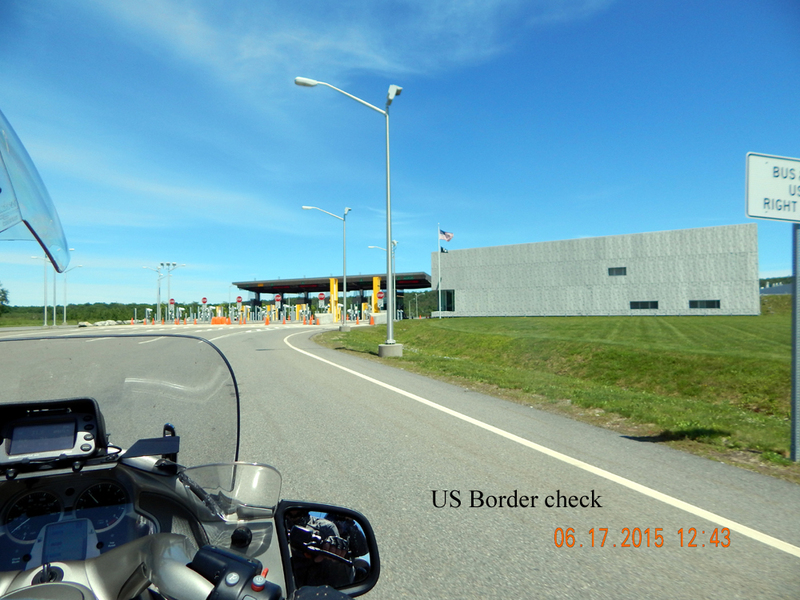 I enjoy getting south of the border and had some great biking in Maine and New Hampshire. Pics are great, looks fun. That is a trip on my bucket list. What is best time of year to go and avoid rainy weather. Last edited by ebiss9; Jun 25th, 2015 at 6:41 am. After seeing your pics and reading other travel vlogs we are planning a trip in August to Cape Breton. We will stay in Hampton inn in South Sydney because the wife gets free stay with her points. We plan to use that as our base and take day trips in different directions hitting as many scenic trails as possible in 5 days. Did you need a passport to get into Canada? You both need a Passport to enter Canada & get back home as well! 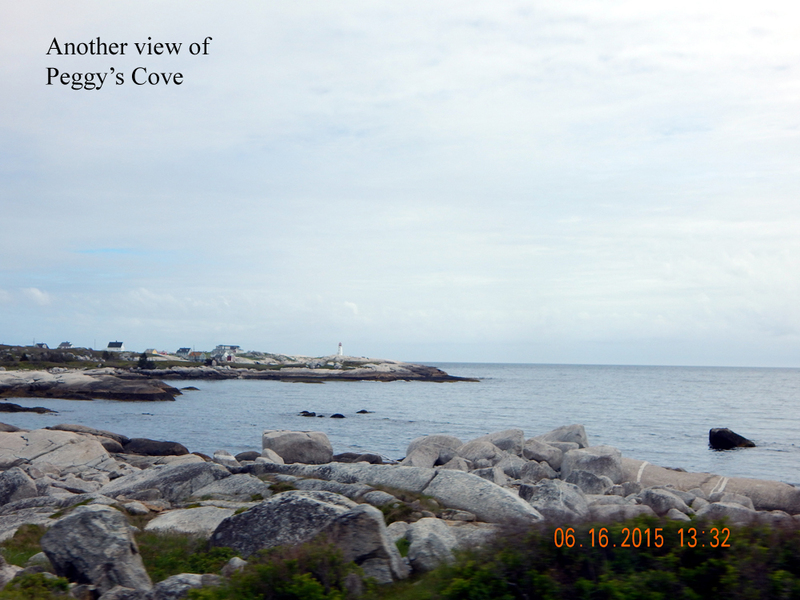 Leaving tomorrow for Cape Breton, N.S. Two days to get there and two back. 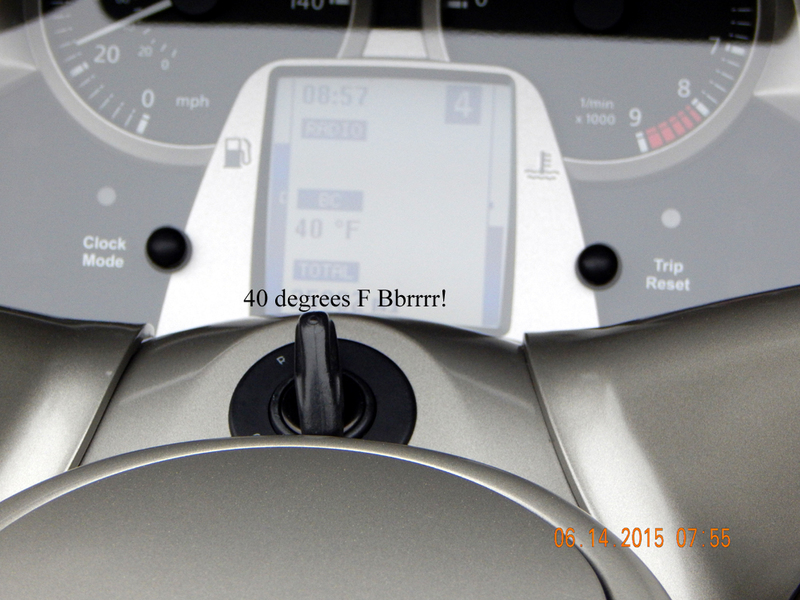 Five days of riding the LT. Hoping the weather cooperates and we see some whales on our planned whale watching cruise. Can't wait!!!!!!!!!!! Hope you have a good trip. You are going to one of the friendliest places that we have been to. 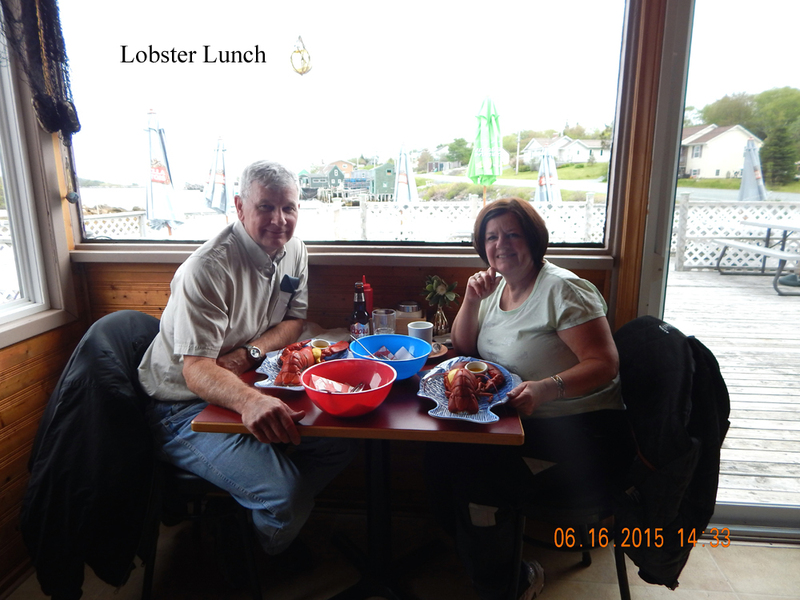 Eat in the small towns and enjoy the seafood, I love the Seafood Chowder that they serve in Nova Scotia, you will see hot dog trailers but they serve lobster rolls, (lobster mixed with mayo on a hot dog bun). Before we rode the Cabot Trail we stopped at a bakery and bought lunch and then ate it at one of the many picnic areas overlooking the ocean. 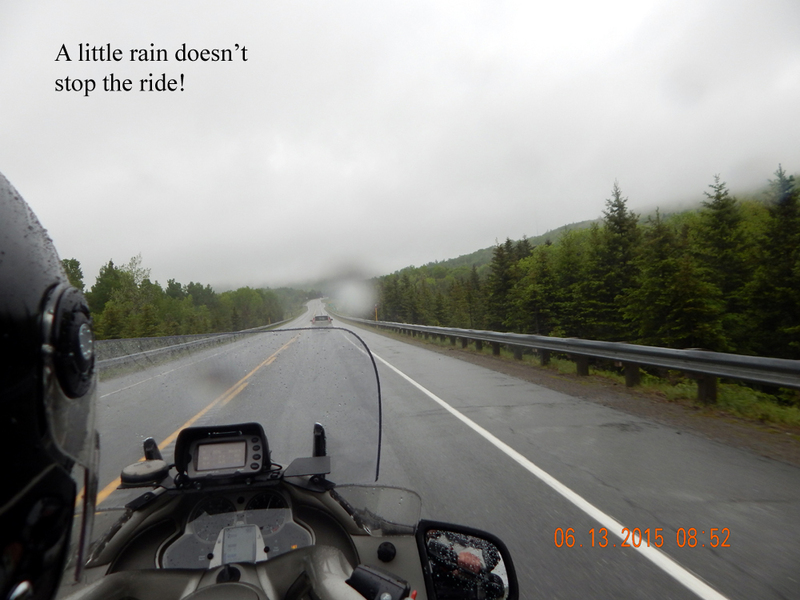 Hope you are bringing rain gear, most days it rains at some point but the sun shines most days as well. I left from Laval,Quebec, went through Vermont, New Hampshire,Maine, New-Brunswick, Nova-Scotia, Prince-Edward Islands and back in Quebec. Lots of twisty roads with little traffic. 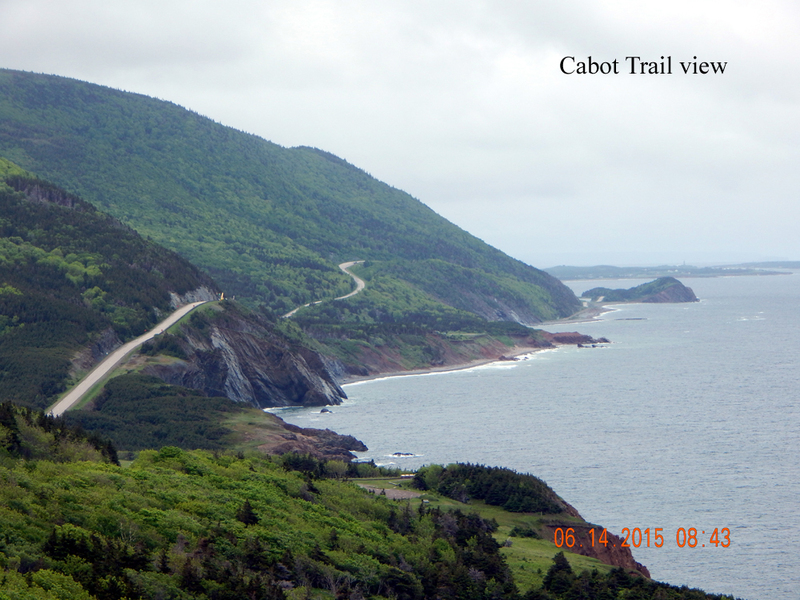 The Cabot trail is amazing. It rained only on my last day. Thanks for the pictures! 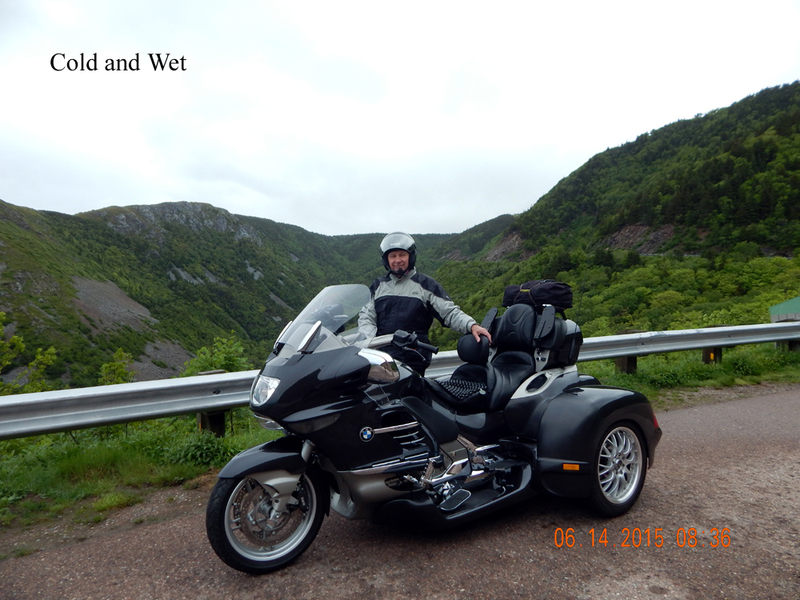 Nova Scotia is on my list of places that I have to ride to! Definitely on my list. Need to get my passport updated. Great pictures though and thanks for the showing. If you love seafood chowder, Cedar House Bakery & Restaurant is 889 HWy 105 rd. Boularderie, NS. Heading east on hwy 105, after crossing the bridge at the base of Kelly's mountain, continue about 1 mile. You will be in love! 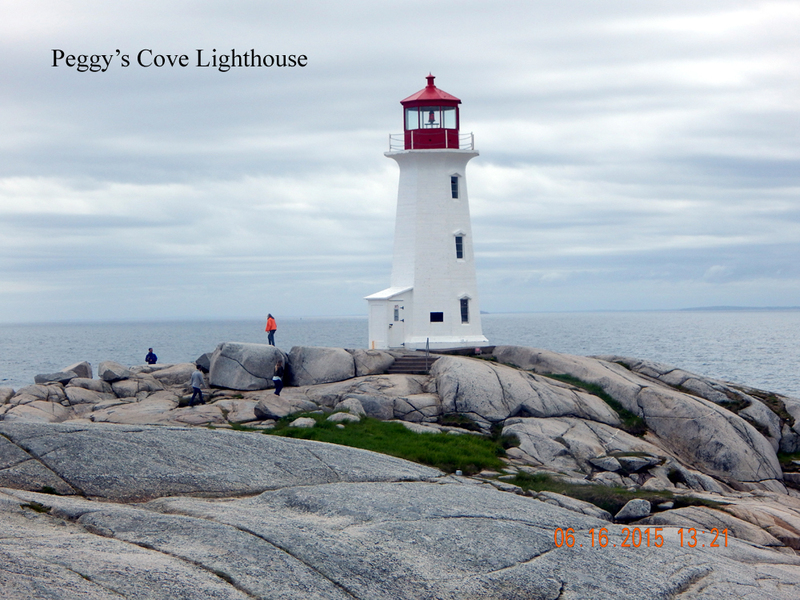 I am planning a trip to Nova Scotia this summer in the last week of July. I have most of the trip already booked. 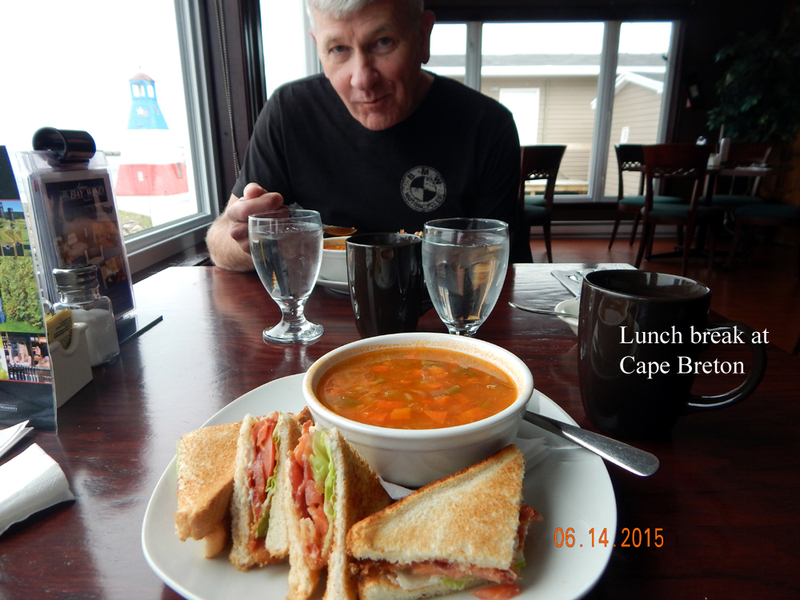 I am looking for recommendations for a nice hotel or bed and breakfast on Cape Breton Island. Any suggestions? Only time I was to Cape Breton, other than when i lived there for a couple of years from from 1969-1971, on a construction job, was about 6 years ago and we stayed at a place in Baddeck, but I can't remember the name of the place, and not sure i would recommend it as i thought it was expensive for what it was. 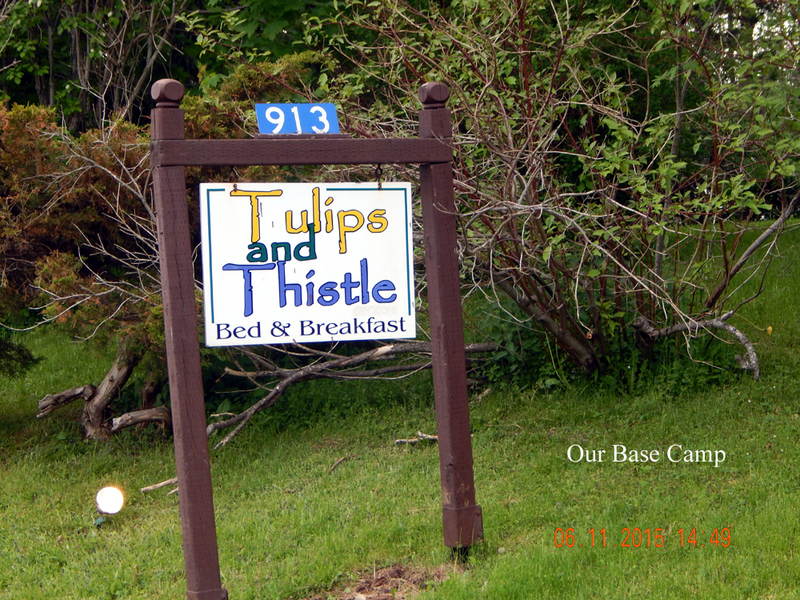 But, we were there on the Canada day long weekend and everything was booked so most things were charging higher prices. 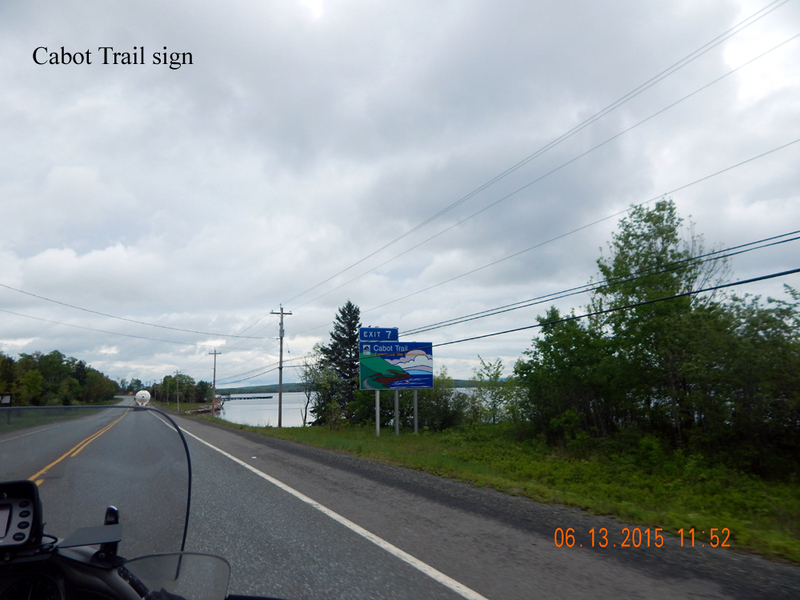 Baddeck is a nice area as it is the starting point to go around the Cabot Trail, and you can make the loop and return there if you want to stay a couple of days. Lots to see in that area. 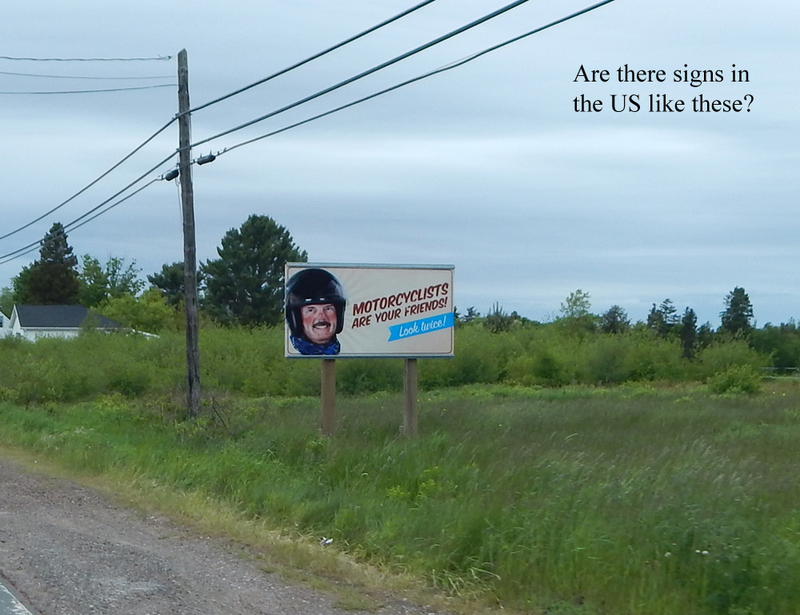 If you google "motorcycle tour guide, N.S." it will bring up a guide specific to biking tours in N.S., as well as a number of other guides and listings. If i knew how to put in links i would have, but google should do it for you. We stayed at this place on the west side in 2012, it was great. 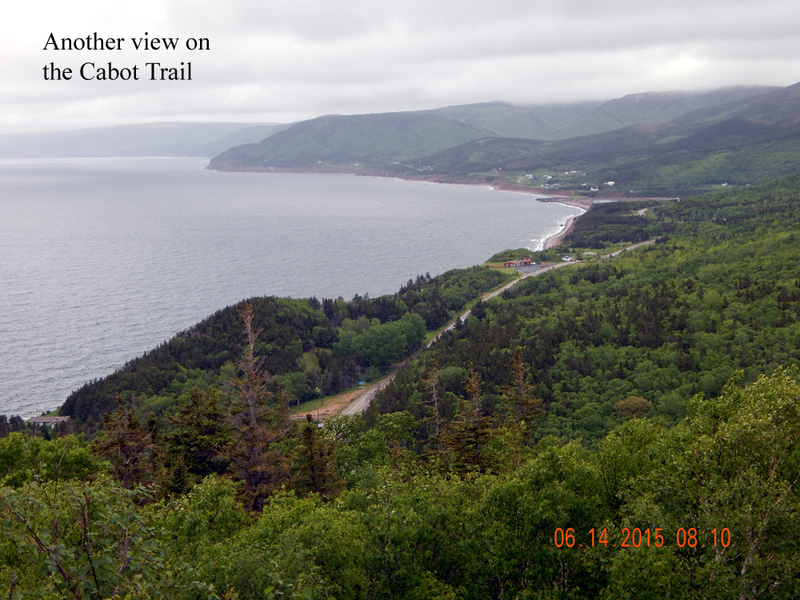 Easy access to the Cabot Trail, a pub called the Red Shoe with great food and local musicians lots of nice riding in the area. It is a 5 minute ride down a well maintained gravel road. I would go back. The previous year we went to Louisbourg and can't say that I liked the B&B there as much, I think it was called the Cranberry Inn.